When i started thinking about my presentation for last weekend’s Convention, i wondered how i could explain the shift from mass to social media. And where Twitter fits in the picture. Ok. Rosen did it before and i didn’t knew. As i was watching this video i felt really uncomfortable, all the items i wanted to adress are there. But Jay does it better. I’ll take this as a sign i’m going in the right direction, or, at least, that i am aware of what is going on. Quando comecei a pensar na minha apresentação para a Convenção do fim de semana passado, tentei imaginar como é que podia explicar a mudança de mass para social media. E onde o Twitter se encaixava. Ok. O Rosen fez o mesmo antes e eu não sabia. À medida que ia vendo este video senti-me desconfortável, tudo que queria dizer está ali. Mas o Jay fá-lo melhor. Vou tomar isto como um sinal de que estou a ir na direcção certa, ou, pelo menos, de que estou consciente do que se está a passar. Why art thou so hasty and hard to keep up with, o Web? | Porque sois tão difícil de acompanhar, ó Web? This is a small doc created by researchers of Information and Communication in Digital Platforms from Porto and Aveiro universities. Citizen journalism, cyberjournalism through the eyes of journalists, citizens and academics, in an interesting nine minute video. In Portuguese. Este pequeno video foi realizado por um grupo de doutorandos em Informação e Comunicação em Plataformas Digitais das Universidades de Aveiro e Porto. 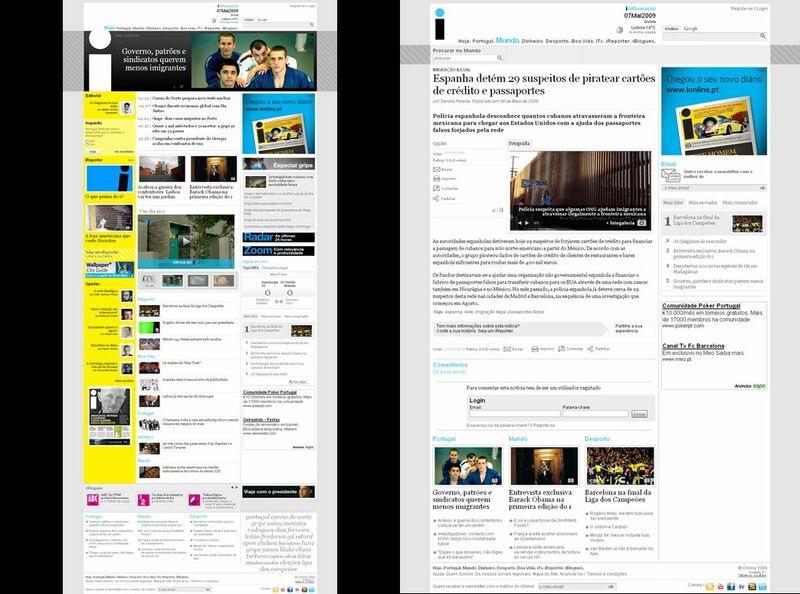 Jornalismo participativo e ciberjornalismo na visão de jornalistas, cidadãos e académicos, em nove minutos interessantes. For the last couple of days I’ve been reading through StreamingMedia.com’s The Ultimate Guide to Creating Online Video Content That Works. The article comes in two parts, the first concentrating on paying attention to your existing and potential audience, and the challenges that both media companies and independent content creators face. The second part discusses video production quality long-form vs short-form video. They also interviewed “content decision makers” and “content creators” for input. First of all, they admit that making online video successful is an art, not a science. As journalism evolves, so do the tools journalists come to depend on. While the Internet can’t provide all the resources a good reporter needs, it does offer a number of them that can make a journalist’s job easier and more productive. I have written a piece for PBS Mediashift on why I believe that blogging deserves a place on a journalism curriculum. The blogs are now live and cover a broad range of topics, from Canadian foreign policy to spirituality to Latin American culture. Teaching someone to blog might sound odd. My approach is to consider blogs as a delivery system that may or may not contain journalism. I use newspapers as a comparison. Tabloids such as The Daily Star or The Sun in the UK are very different to The Times or The Guardian. They are all newspapers, but have distinctly different content. What makes a blog a “blog” are the social and cultural practices that have developed alongside this new web-based delivery system. In other words, the technology and history of blogs has resulted in certain generic conventions, much like the evolution of print led to a set of conventions. 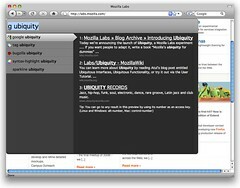 We are proud to announce Ubiquity 0.1.5. Since the last major update, Ubiquity has gained a sleeker look and a smarter, more stable core. Ubiquity has also gained the ability to be skinned: anyone who knows how to write standards-complaint CSS can now create and share a custom Ubiquity skin. Beautiful: Ubiquity has a new look that increases its visual simplicity and lays the groundwork for full keyboard access.